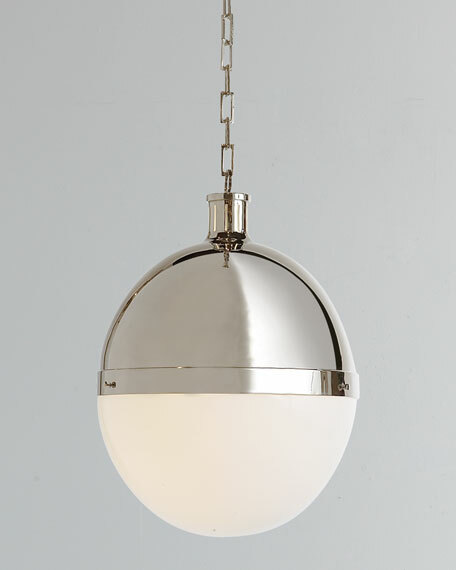 Globe pendant light designed by Thomas O'Brien for Visual Comfort. Handcrafted of brass and glass. 16"Dia. x 22"T with 6'L decorative square-link hanging chain. Weight, 10 lbs. Boxed weight, approximately 21.2 lbs.